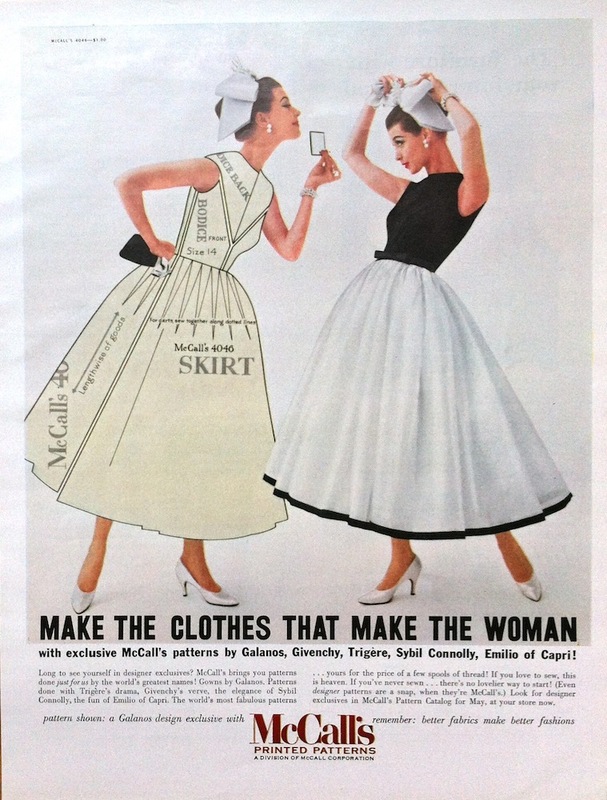 McCall’s advertisement, February 1957. Image: Allposters.com. Within its variations on the playfully presented scene of leisure, the campaign conveys a visual reminder of one of McCall’s long-standing technologies: the printed pattern. 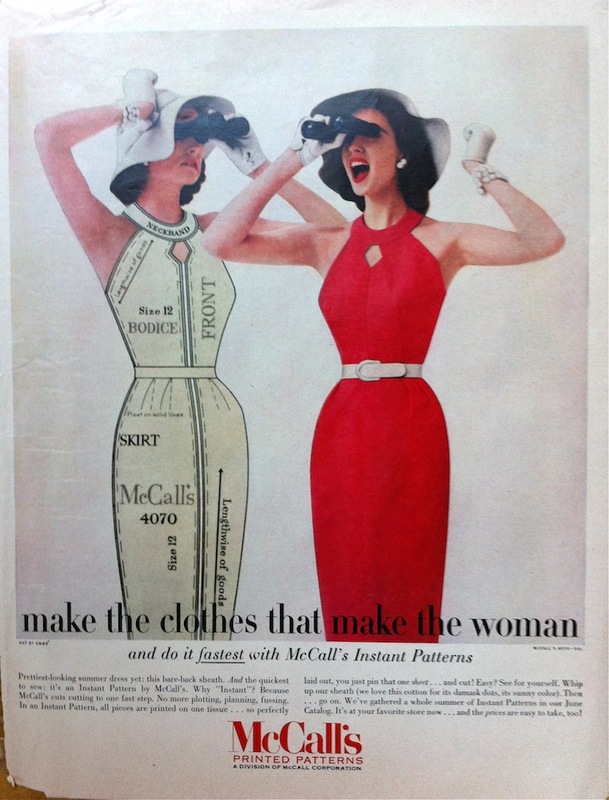 (McCall’s had been producing printed patterns since the 1920s, whereas Vogue only introduced printed patterns in 1956—later outside North America.) 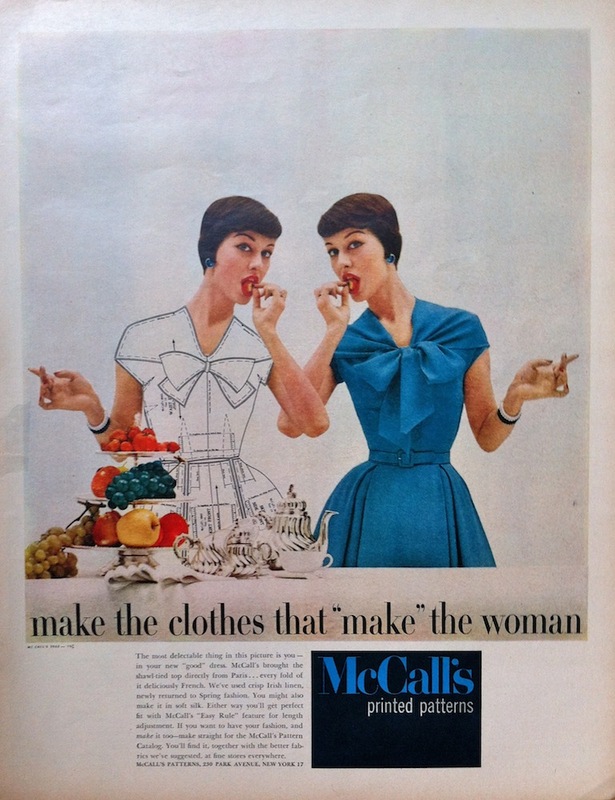 Have you seen other ads from this McCall’s campaign? What a great campaign, and it’s nice to see so many variations of the theme. The ‘trip to Paris’ ad featuring the Givenchy design reminds me very much of the photo-shoot scene in the film ‘Funny Face’ from about the same time. You know, I wondered about a “Funny Face” connection. The film was released in February 1957, but maybe back then they already had advance coverage.. This ad campaign is SO CLEVER! It definitely gets my attention. Thanks for sharing. Thanks for the reblog, Kerri! 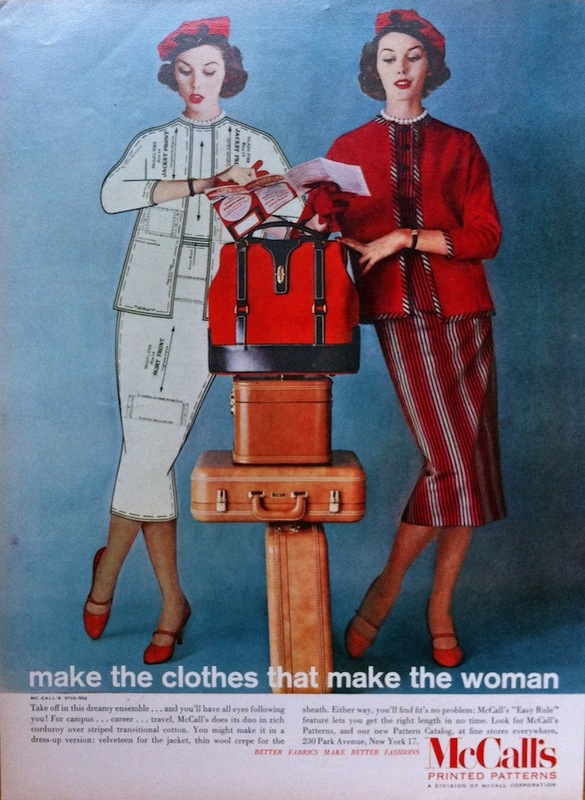 Take a look at this wonderful ad campaign from the 1950’s from PatternVault. It’s delicious! Love the interesting seaming in many of these although I wouldn’t relish making pattern adjustments to fit to me! I loved this too! A great bit of history and I would love the clothes for real! Great post! Thanks for sharing. The campaign is genius; I wish McCalls would do a campaign with the same theme today! 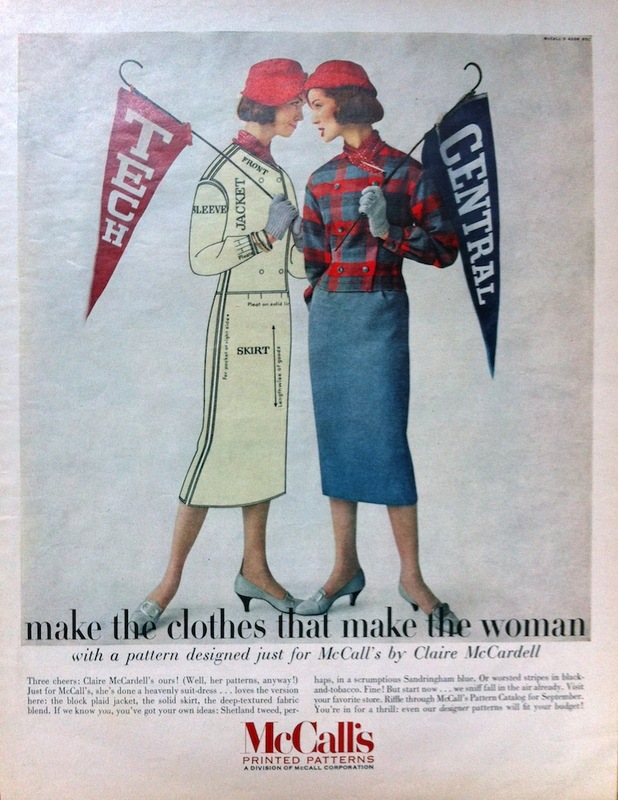 I love western fashion history, and own a McCalls Pattern publication from the 1930s. and 1953. 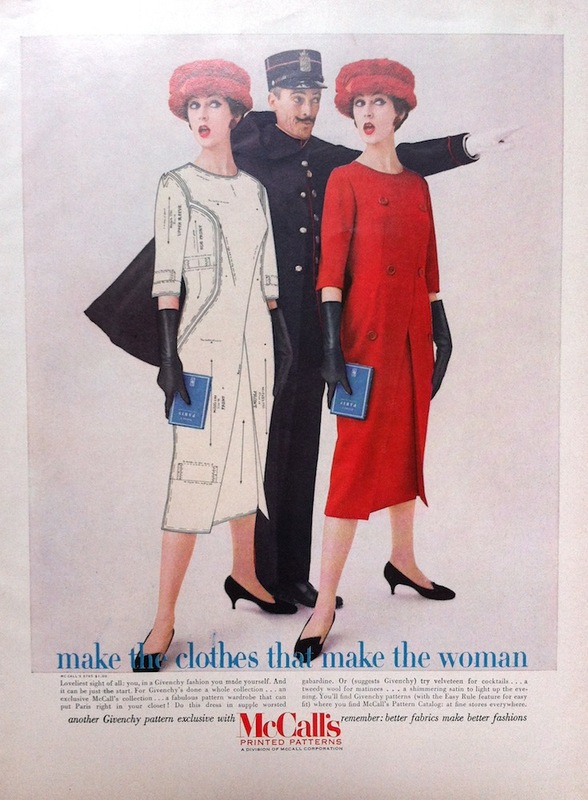 I think Vogue Patterns were printing much earlier than the ’50s since I have their “leaflets” from February 15 and March 15 1930. Enjoyed this post and am sharing it on Facebook. Thanks! 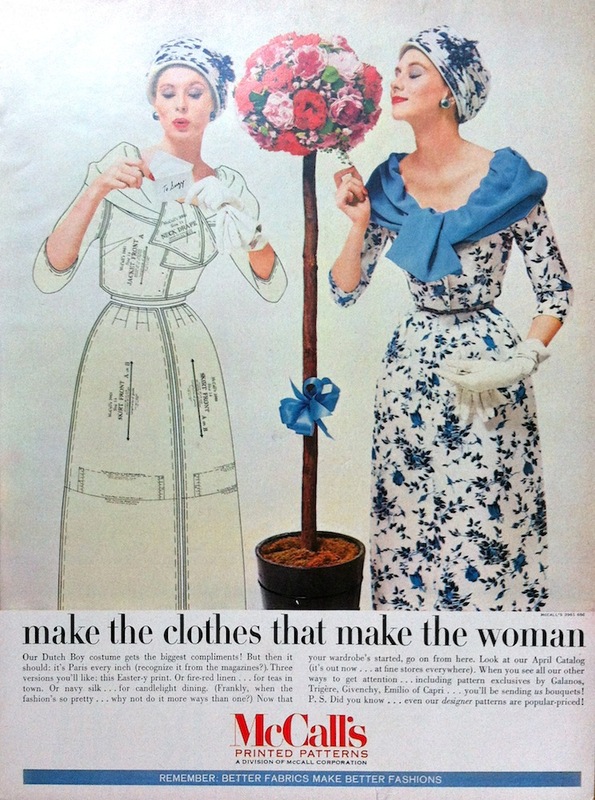 You’re right, Vogue was already in the pattern business in the 1930s—but until the mid-1950s their patterns were “unprinted”: blank tissue marked with perforations. Those old leaflets are lovely, aren’t they? I just tripped over this post at PatternVault and had to share. Love this vintage look and how the basic pattern lines are shown. Hope you enjoy, Ramona. Thanks for the reblog, Ramona! Agreed also! the designs are very eye- catching and reminiscent of an era not easily forgotten.